Dr. Elaine Hill's primary research interests are in health economics and environmental economics. 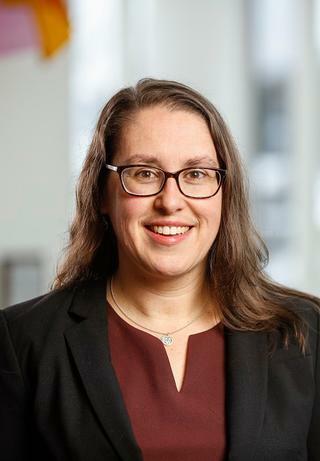 In particular, her research focuses on the intersection between health, health policy, the environment and human capital formation, with an emphasis on the effect of environmental exposures on health. Her most recent research utilizes quasi-experimental methods to study the impacts of shale gas development on human health in the US. She is also involved in early origins research, linking in utero environment to later life health and educational attainment. Dr. Hill serves to support research projects at the University of Rochester employing "big data", structural modeling and cost-effectiveness assessment. Dr. Hill is also affiliated with the Goergen Institute for Data Science, the Environmental Health Sciences Center, and the Center for Energy and Environment. Dr. Hill received her BA in Economics and Mathematics at Oberlin College in 2005 and her PhD in Applied Economics from Cornell University in 2014. Willis MD, Jusko TA, Halterman JS, Hill EL. "Unconventional natural gas development and pediatric asthma hospitalizations in Pennsylvania." Environmental research.. 2018 Oct 0; 166:402-408. Epub 2018 Jun 21. Hill EL. "Shale gas development and infant health: Evidence from Pennsylvania." Journal of health economics.. 2018 Sep 0; 61:134-150. Epub 2018 Aug 13. Fisher, M.; Mayer, A.; Vollet, K.; Hill, E. Haynes, E. "Psychosocial Implications of Unconventional Natural Gas Development: Quality of Life in Ohio's Guernsey and Noble Counties". Journal of Environmental Psychology. 2018; .